I lust for a pair of green camo Adidas EQTs, but let’s be sensible! When you first start building your collection find something that will match with what clothes you already have. You don’t want a garish pair of trainers that only go with one specific outift. You need something that’s going to fit in well with your current attire so that you can cycle through a few pairs. Most of my trainers are black with coloured accents as they’re much easier to style. Unfortunately for us gals, companies still think we all exclusively wear pink. You’ll have to wade through quite a few ‘pastel’ and ‘macaroon’ collections to find the good stuff. 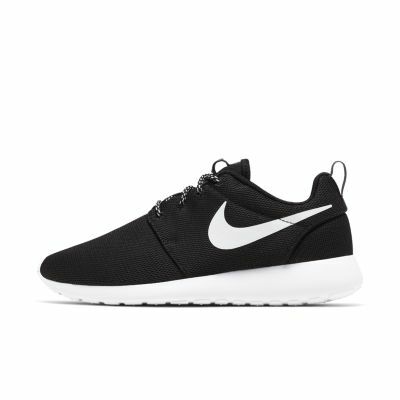 Consider starting with a classic black and white instead, something relatively cheap and casual like some Nike Roshe. Once you’ve got your basics down, you can expand into colour and rotate which ones you wear each day. Having a few staples to swap between stops your trainers from wearing down too quick. Colour isn’t the only thing to keep in mind, material needs to be carefully considered too. 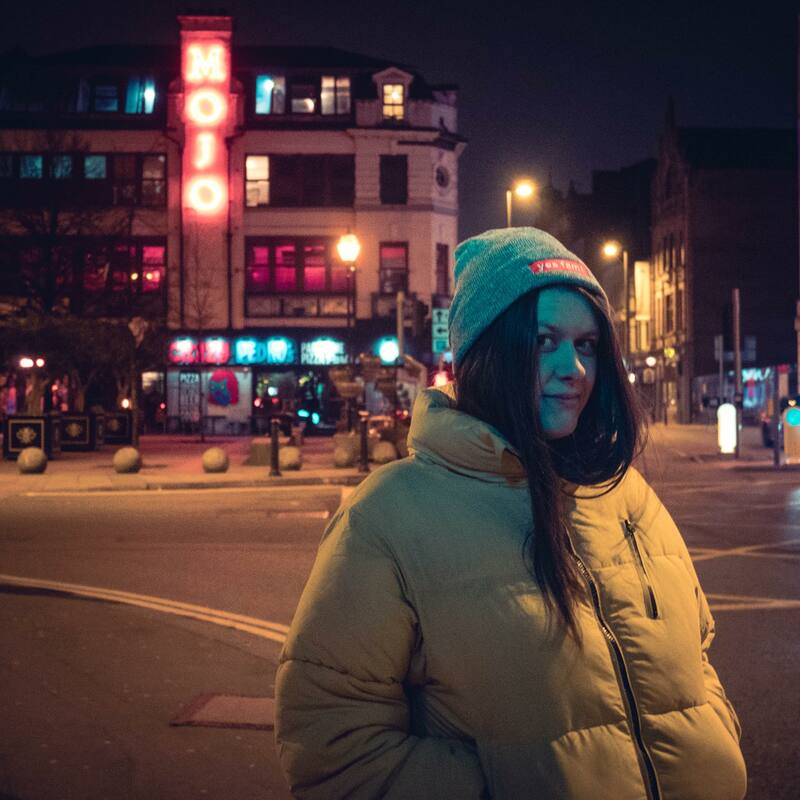 For example, I copped the rose gold New Balance 373 last year but they’re suede; I live in Manchester, you know, the place where it always rains! I love them, but I rarely get the chance to wear them. Even the best suede protection spray in the business won’t stand up to a big downpour on the way to work. If your main mode of transport is your own two feet, start by purchasing more durable trainers. Whilst NMD and other ‘sock fit’ shoes aren’t the most waterproof, they can be thrown in the washing machine. Weigh up your options and think about what you’re going to be using your collection for most. Instead of trawling through sites to find the trainers you want, use a sale aggregator like LoveTheSales to cut through the noise. They pull through data from top retailers so that you can find all the best deals in one place. Sales aggregators are the secret weapon of any fashion fan, especially if you’re looking for particular brands. For styles that are stocked in multiple stores, I use an aggregator to find out where to buy them the cheapest instead of opening up sites like ASOS, Office and Zalando individually. Simply search for women’s trainers, add your budget and brand – that’s it! It’s actually really worth while. 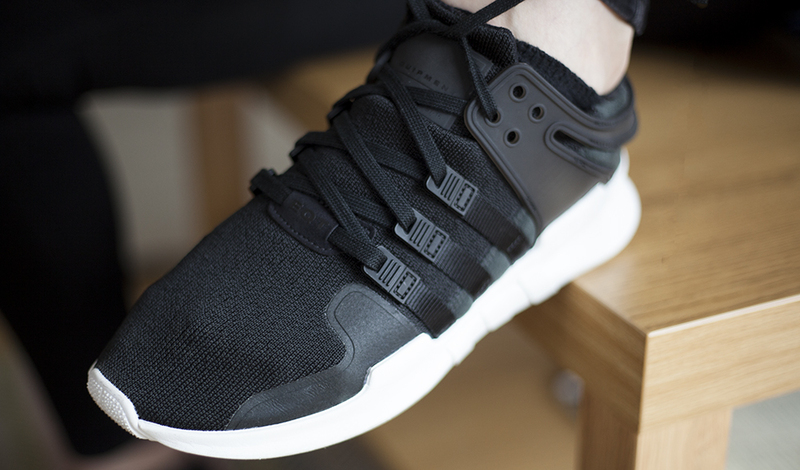 The EQTs in the main image we’re £110 in most stores, but the sale price was £65. It’s worth checking the sales all year around too, instead of waiting til summer and boxing day when stores are getting rid of what’s left. I must confess – I am a shoe wrecker. I walk every where and I’ve been known to off-road if it gets me to my destination quicker. My boyfriend finds it bizarre that I’m more likely to avoid an unlucky three grid than I am a puddle! If you’re like me you’ll need to consider buying trainers that are washer safe. As mentioned before, that probably rules out material like suede! 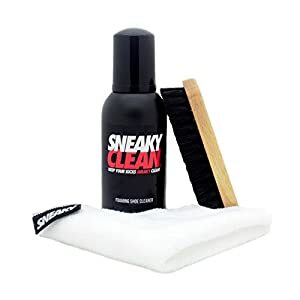 There are parts of your kicks that are bound to get mucky, like the sole. For sole cleaning, I use a toothbrush and whitening toothpaste. No, I’m not joking. It works like a charm and is much cheaper than the branded ‘shoe shampoo’ you can buy. For the lazy shoe collector, there’s also a white marker you can buy to paint over any suborn marks. It kind of works like tipex. You’re bound to get a little carried away when you get started, but don’t be tempted to jump into an investment piece before you’ve got a basic collection first. A £700 pair of rare Bape NMDs might look amazing, but it’s a hefty price to pay for a trainer you won’t likely touch out of fear of getting the sole dirty! I’ve touched on the reasons you shouldn’t buy counterfeit goods before, but it can be easy to accidentally purchase fakes when building your collection. Luckily for you, there are plenty of Youtubers who specialise in comparing fake products with the real deal. My tips to avoid this happening to you would be to only buy from trusted retailers and have some realistic expectation – no, you’re not going to get a pair of Yeezys for under £100. So once you’ve got the ball rolling and you have a few options to cycle through, you can consider getting a little creative. By now you’ll probably have found your favourite silhouette but perhaps they don’t come in a colour or design you like. For example, you might want some silver Roshe or with bright pink soles (Yeah, I’m purposefully thinking of an outrageous design) That’s where brands like Angelus Paints come in! Their instagram feed is covered in inspiration for anyone crafty enough to give it a go for themselves. You can choose the silhouette of your favourite shoe and paint it any colour you like! The paints are designed to last and can be heat set with your hairdryer. Of course, it’s always important to prioritise bills and general life expenses over your kicks. That’s why I try to live by the double up rule. If I really want a specific pair of trainers I have to save double the amount I’d spend on them. It’s a good way to build up good saving habits and makes you think about how much you actually want something. You’re also positively reinforcing and rewarding your ability to save by using this trick. Obviously there are certain drops that you’ll need to hear about in advance to save up all your pennies for. For this, you’re going to want to head over to Hypebae and The Sole Supplier for all the advance warnings and unboxings you would ever need. I’m really curious to hear your thoughts on sneaker culture, so tell me what your first pair of kicks were in the comment section below, and do you have your eye on any styles yet to be released? Next Post The Lush Cosmetics jelly face masks, worth the hype? Love this post, I have a pretty large collection of trainers but that just happened. Eeeeeek!!!! For me it’s converse!! Sod the heels!! I have 7 pairs so far! You can never have enough! Some great advice, I do need to have a bit more of variety of trainers! Great post! And I can safely say that all these tips apply to men as well! 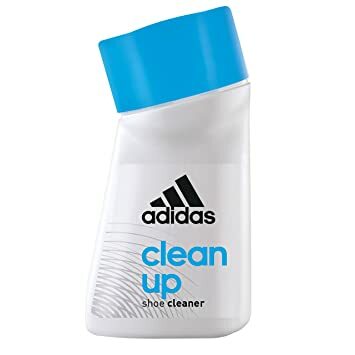 This is such a great post, hands up I love a good pair of trainers and I am on the look out for my next buy at the moment, I need a new pair of Adidas Originals. Omg Sarah, have you seen the holographic and white ones? They are soooo shiny and beautiful! Thanks for this. We should really be wary of fake goods. I have a friend who had bought a fake shoes, it’s just not worth it. Ah man that must have been so disappointing. Counterfeit goods are rife in the UK and there are so many people on Depop and Ebay flogging the fakes. Once we find a good fit we tend to stick with brands. 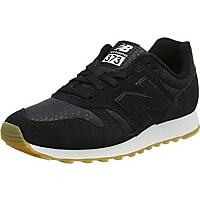 We love the New Balance fit and have lots of trainers in different colours. We always try to buy in the sales and avoid auction sites. I’m more of a heels kind of girl, but do own trainers. I tend to go for the same brand, which are Adidas, although Diesel come a close second. I would never buy from the likes of ebay or such, simply because I don’t trust the “genuine” stamp they so claim. I love the comfort of trainers but I don’t really have a collection. It’s really a shame that you don’t get to wear your lovely suede trainers too much! I only have a few pairs of trainers, I never thought to start a collection before. I would much rather have a pair of trainers than a pair of heels, some of the mums at school turn up in stilettos and I am amazed they don’t break their ankles chasing round after the toddlers! I really want to get some more trainers, I only have a couple of pairs at the moment! I have a huge running shoe collection, but I haven’t run in over a year lol. I would love some customised shoes though.